Alexander Zubkov has temporarily stepped down as President of the Russian Bobsleigh Federation (RBF) after he was given a two-year ban for his involvement in the Russian doping scheme. Zubkov, under pressure to resign from the Russian Olympic Committee (ROC) and the International Bobsleigh and Skeleton Federation (IBSF), made the decision at an extraordinary RBF meeting today. The 44-year-old, stripped of the two Olympic gold medals he claimed at the 2014 Winter Olympics in Sochi, has been replaced by vice-president Elena Anikina on an interim basis. Anikina, who led Sochi's successful bid for the 2014 Winter Olympic and Paralympic Games, will be at the helm of the RBF during Zubkov's suspension. insidethegames understands the RBF are hopeful Zubkov will return as President once his ban has expired. "Alexander Zubkov temporarily left the position of President according to the decision of Anti-Doping Commission of IBSF," Anikina, former director of international relations at the ROC, told insidethegames. "I hope that the decision of Presidium of RBF to elect me Interim President will be taken positively and supported by all Russian and international sport structures. "I am sure that our Federation will manage to work successfully in this difficult moment." Zubkov, re-elected for a fresh four-year term as RBF head in 2018, was banned by the IBSF after he was found to have been a knowing participant of the country's extensive doping scheme. The suspension prevents Zubkov from participating "in any competition or activity", including serving as an official in a National Federation, and means he will be unable to carry out his duties as RBF President until his ban ends on December 12, 2020. The sanction from the IBSF prompted the ROC to pressure him into stepping down, with President Stanislav Pozdnyakov calling for a new election to choose his permanent successor. 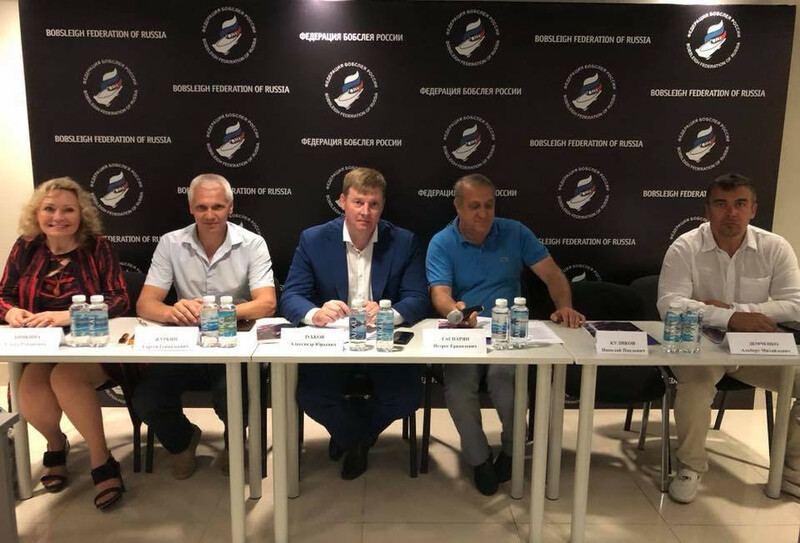 It is not clear whether the steps taken today will be accepted by the ROC, although Zubkov relinquishing his position during the doping ban should stave off further sanctions against the RBF from the IBSF. Zubkov, who has so far refused to return his two-man and four-man Sochi 2014 gold medals to the International Olympic Committee (IOC), is considering appealing the IBSF decision. He was sanctioned after the IOC found him guilty of knowingly participating in the "systematic manipulation" of the anti-doping system at Sochi 2014. Fellow bobsledders Alexander Kasjanov, Aleksei Pushkarev and Ilvir Khuzin were also banned by the IBSF. This stance was accepted by the IBSF Disciplinary Panel, which had access to CAS reasoned decisions on all four athletes.